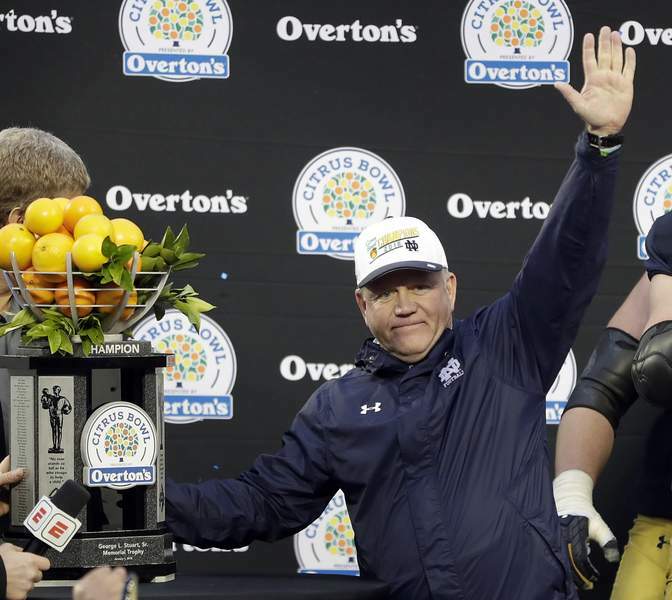 Coach Brian Kelly won a trophy as he led the Notre Dame football team over LSU in the Citrus Bowl on New Year's Day, and June 22 he will receive a Red Coat from the Mad Anthonys. Kelly and local business leader Doug McKibben were announced Monday as the latest Red Coat recipients. Kelly and McKibben will be honored at the Mad Anthonys Red Coat Dinner. Its annual charity golf event is June 23. Both events will be held at the Fort Wayne Country Club. 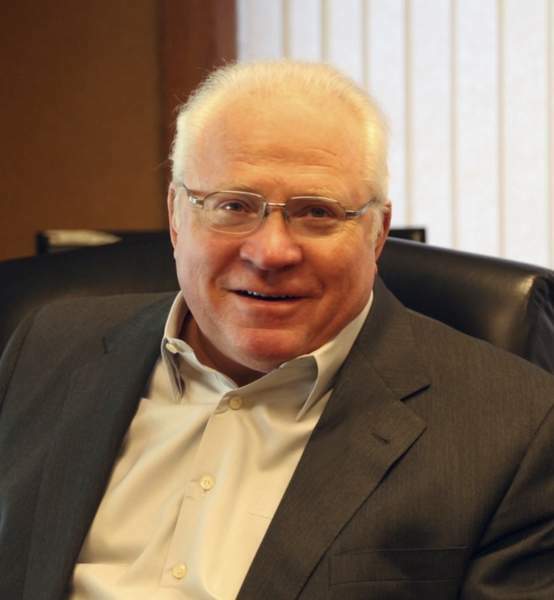 McKibben founded what would become the Glenbrook Automotive Group 40 years ago when he opened Glenbrook Dodge in 1978. Today, Glenbrook Automotive Group is one of the largest dealership groups in northern Indiana, with nine new-car dealerships and hundreds of employees. McKibben is past president of the New Car Dealers Association of Indiana. He has long been a supporter of youth sports in northeast Indiana, including helping found the Lifetime Sports Academy and continuing to serve on its board. In addition, he's been a longtime supporter of athletic programs for both Saint Francis and IPFW. He's been a member of Mad Anthonys for almost 30 years. Kelly was named coach at Notre Dame in 2009 and has compiled a 59-37 record. Kelly, in his 28th season as a collegiate coach, is entering his ninth year as the 29th head coach of the Irish. Kelly has the most wins among active Football Bowl Subdivision coaches and is the first coach to ever take Notre Dame to a bowl game in each of his first six years. Kelly and his wife, Pacqui – a multiple-time survivor of breast cancer – founded the Brian Kelly Family Foundation. Renamed the Kelly Cares Foundation in 2009, it has raised and donated more than $4 million to causes aligned with the foundation's vision and mission of support for organizations focused on health, education and community needs. Previous Red Coat recipients include Neil Armstrong, John Wooden, Bob Knight, Gene Keady, Peyton Manning and Vice President Mike Pence. All funds raised by Mad Anthonys Children's Foundation will support the Mad Anthonys Children's Hope House. The Mad Anthonys is a charitable organization founded in 1957 and comprises northeast Indiana business leaders and professionals. The Mad Anthonys Children's Hope House provides nearby lodging and support services for the families of children undergoing pediatric and neonatal treatment. Because Fort Wayne has become a health care hub for all of northern Indiana, southern Michigan and western Ohio, this function is critical to the families of children with severe illnesses and conditions.